Posts Tagged "Commes Des Garçons Jacket"
Home » Posts Tagged "Commes Des Garçons Jacket"
I feel tweed jackets are going to make a comeback. 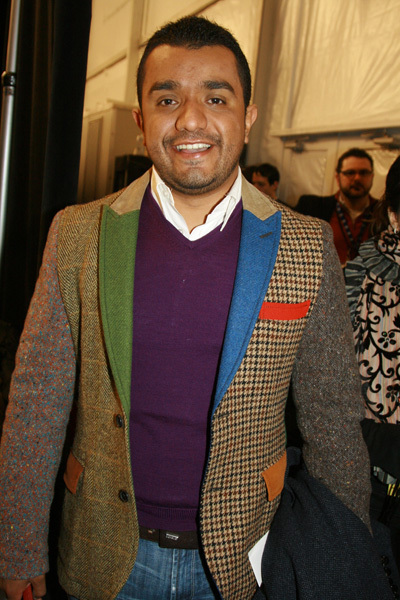 Love this awesome Commes Des Garçons jacket worn by Maurcio Valdespino photographed backstage at the Carolina Herrera New York Fashion Week Show 2010. At the time, he was Fashion Editor, Glamour, Latin America.